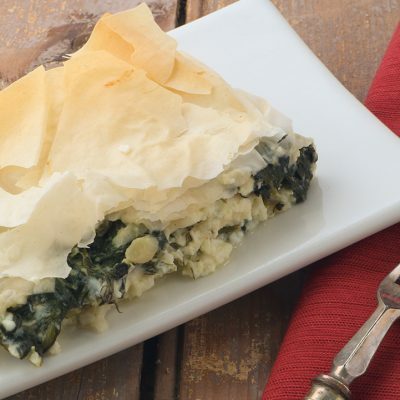 A while back a co-worker here at the Fillo Factory, dropped a brochure on my desk, with this spanakopita recipe on it. 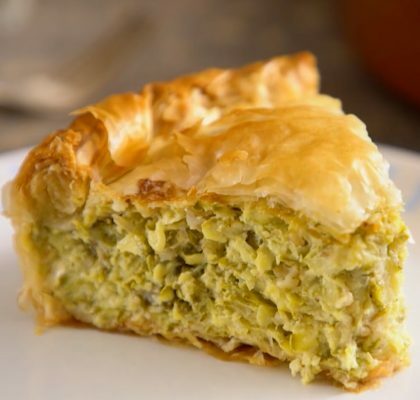 It turns out that a longtime customer of ours, Marie Petikas, has been making Spanakopita for many years and decided to share it with her business associates on their company newsletter - and this is what landed on my desk. It is popular among her friends and family. She has agreed to share it with us. Thanks Marie! I'm going to send you a copy of a Fillo Pastry Cookbook I have here by Tess Mallos. 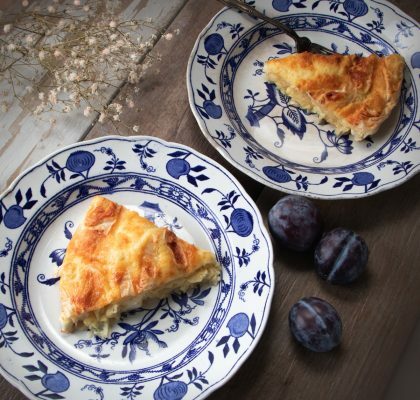 "Marikopita" is my own recipe and my own name for the pie or "pita". 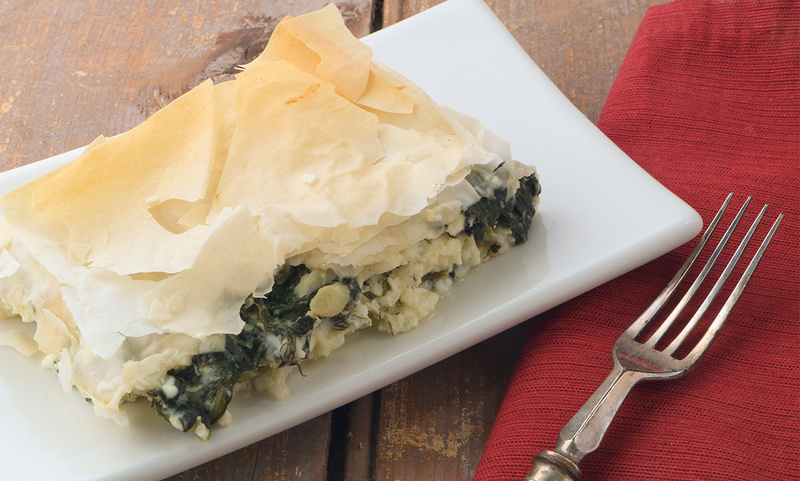 It is a cross between a Spanakopita(spinach pie) and Tyropita (cheese pie). Don't fight with your fillo. Always purchase fresh fillo from a trusted source. I get mine at The Fillo Factory, in the commercial area of Northvale, NJ"
Sauté scallions until wilted. Transfer to a large bowl. Sauté spinach 1/2 lb at a time until wilted, add to scallions. Meanwhile, crack 4 eggs into a medium bowl and beat. 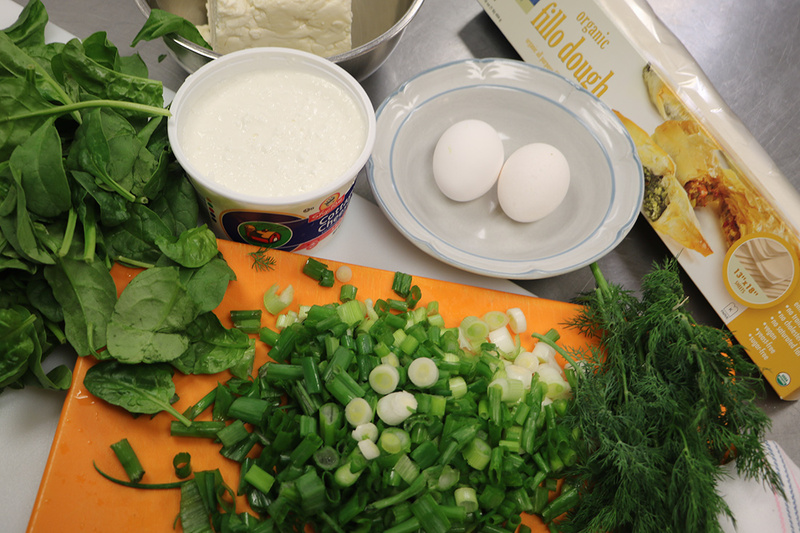 Add cottage cheese, and the finely crumbled Feta & fresh ground pepper. Stir well. 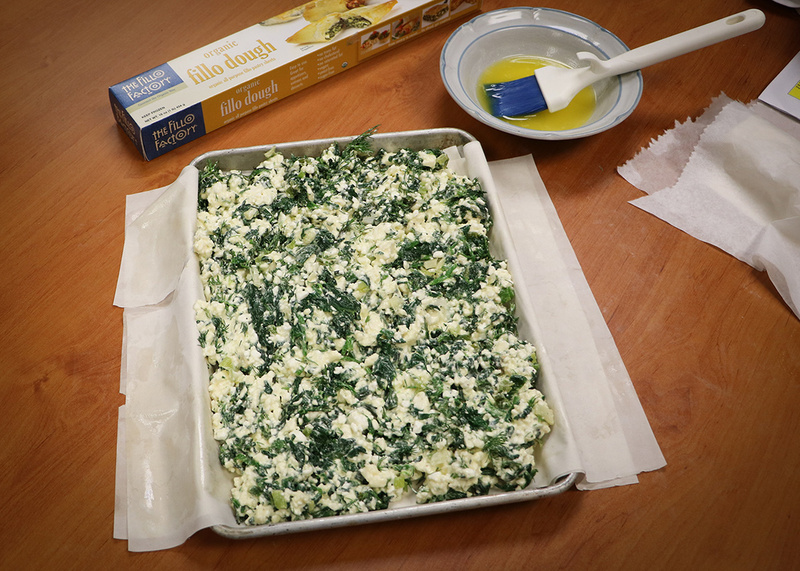 Combine the cooled spinach mix with the eggs & cheese stirring well by hand. 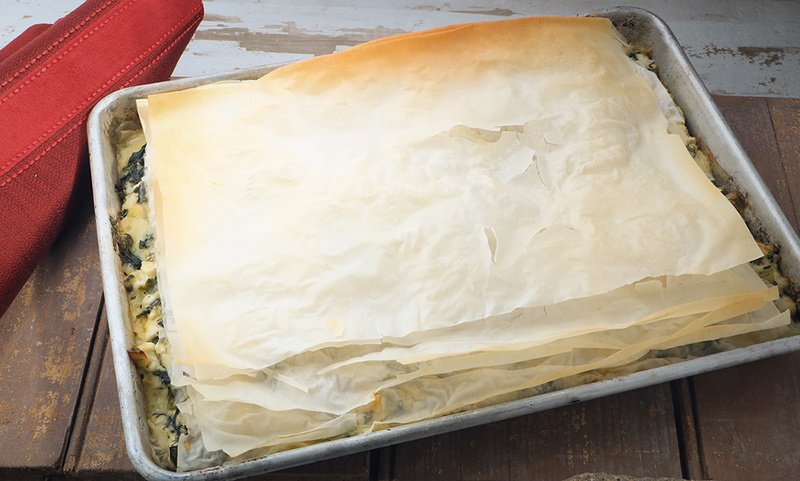 Lay out phyllo sheets on a counter-top, (we used The Fillo Factory's Organic Fillo over one of the Pyrex dishes. (see photo) buttering one half with a basting brush and fold over into the dish. Repeat 4 times. (Five sheets) Spread 1/2 the spinach mixture on top of this. Layout another 5 sheets same way, and butter and fold the same as for the bottom. This is your top. Editor's note: I did not do it exactly the same way. I overlapped the fillo a little so I could fold up the edge to keep the spinach mix away from the metal tray - I didn't have the glass pyrex trays Marie says to use. Fillo is forgiving. It will work any way you layer it. 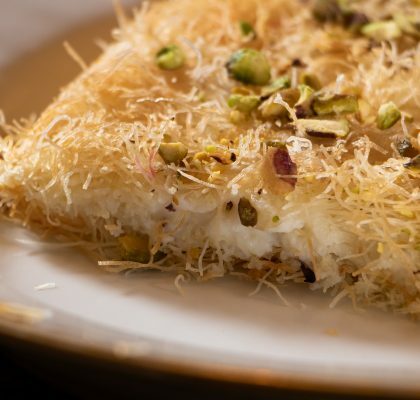 Repeat this for the second Pyrex dish. You can freeze the second tray as it keeps well in the freezer. Enjoy!